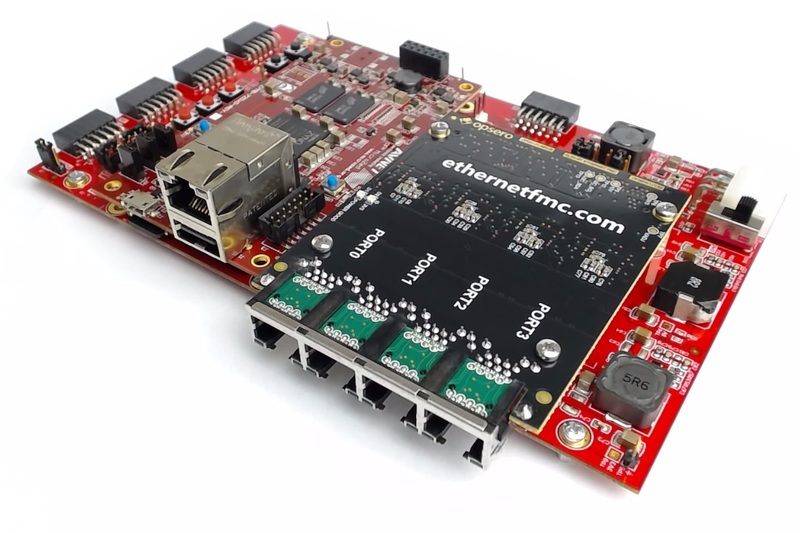 The instant solution for FPGA networking applications. Plug it in and start designing today. Redefine networking from the ground up with FPGA technology. Up & running in just 2 minutes. Hit the ground running with fully functional example designs for the ZedBoard that you can download from Github, the open source Git repository. Leverage the open source example designs for Vivado and accelerate your development cycles. We’ve taken care of the low-level so you can focus on your application. Get help directly from the designer. No webcases, no automated emails, just straightforward assistance from an FPGA expert. 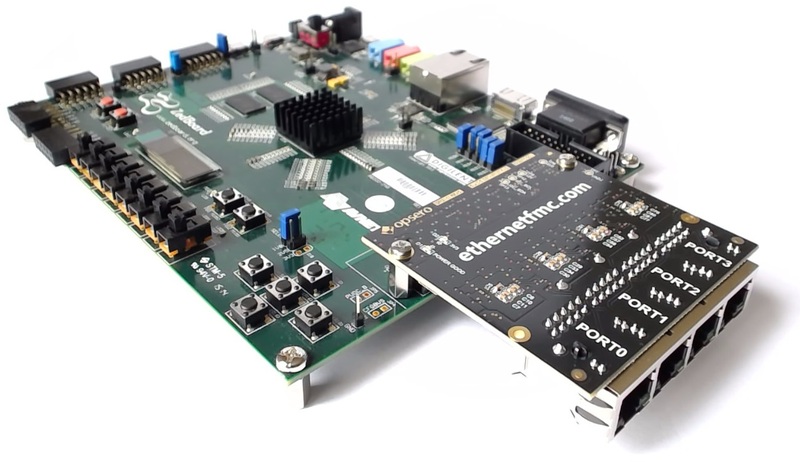 When paired with the ZedBoard, the Ethernet FMC is your fastest path to proof-of-concept. The fully functional examples for the ZedBoard allow you to start designing your product today. Marvell Gigabit Ethernet PHYs for maximum network compatibility and performance. Vita 57 compliant Low-pin-count FMC connector for compatibility with all FMC carriers. 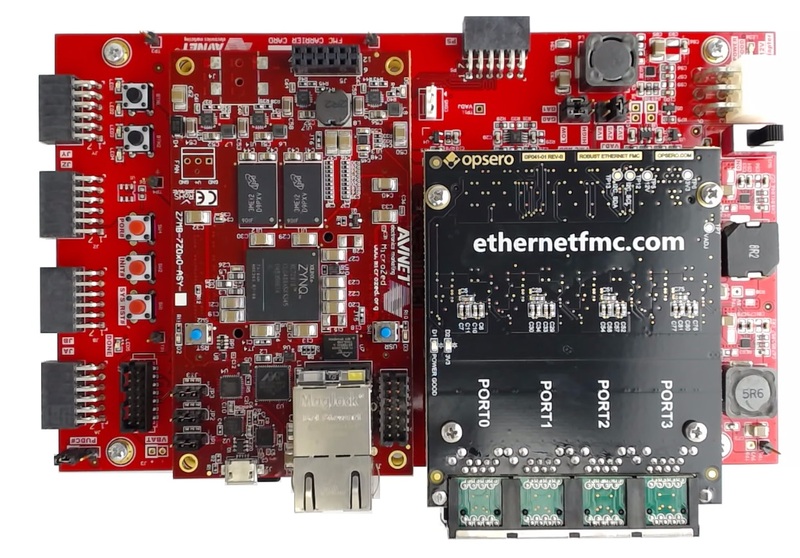 LVDS differential output oscillator to supply the FPGA with a clock for the Ethernet MACs. Fully functional example designs available for download on Github. Connect devices together on a computer network. Probe, record and monitor the traffic on your networks. Forward packets between computer networks with minimum latency. Measure, track and analyze your device response times in real-time. Test experimental protocols on existing networks. Eliminate network congestion using hardware accelerated traffic control.